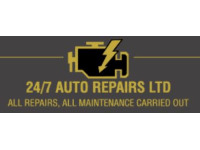 24/7 Auto Repairs is a professional, experienced garage based in the Whitchurch area of Bristol. As our name implies, we are available 24 hours a day, 7 days a week (out of hours by appointment). We pride ourselves on being able to get vehicles back on the road quicker than our competitors at a fair and affordable price. Bishopsworth, Hengrove, Knowle and Keynsham are just a few of our main service areas in and around Bristol. We also carry out a full gearbox repair and reconditioning service on all vehicle makes and models. 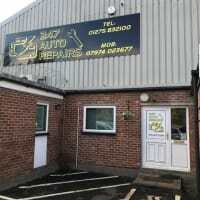 Whether it’s a flywheel replacement, an MOT test or one of our car repair services, we are on hand to take care of every part of your vehicle. 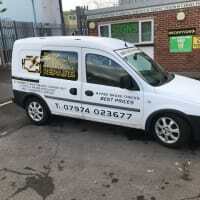 24/7 Auto Repairs are clutch replacement and flywheel replacement specialists for the Bristol area, two key services where very few garages genuinely excel. Most of our mechanics and MOT inspectors have been with us for a long time and all of them are friendly, efficient and hardworking. Fast, friendly and very well priced! No job to big or small! Would 100% recommend! I recommend this service, having needed an emergency car repair. This business was the only one I found open in Bristol on a Sunday. My call was taken immediately and my car repaired within half an hour. Effective and friendly service, thank you. Highly recommend. A true professional. Craig went over and above to help me get my car back on the road. Super responsive, super helpful and a great professional at his job. Loved the service. Would highly recommend. At last a garage I can trust! Great bloke, great team, great service and great advice! My wife's Fiat 500C broke down and Craig picked it up, cracking job, all running beautifully now, and nice clean hood as well. Since then, he's had all my vehicle repair work, and done some complex and difficult jobs - he works tirelessly to meet promised deadlines, and is friendly and helpful - he is considerate and takes the time to talk through the various options. For example L200 clutch/service/prop shaft bearing. Again excellent job. Berlingo van second hand gearbox. Excellent advice every time - what needs doing, the best way, what isn't urgent and so on. Trust is a rare commodity with garages, but I believe I've found the right person at last - no job is too small, too complex or too large. I've used many places in the past, but this is the first time it's felt like a real partnership between myself and the garage. This is heartfelt honest praise for a person who truly deserves it.